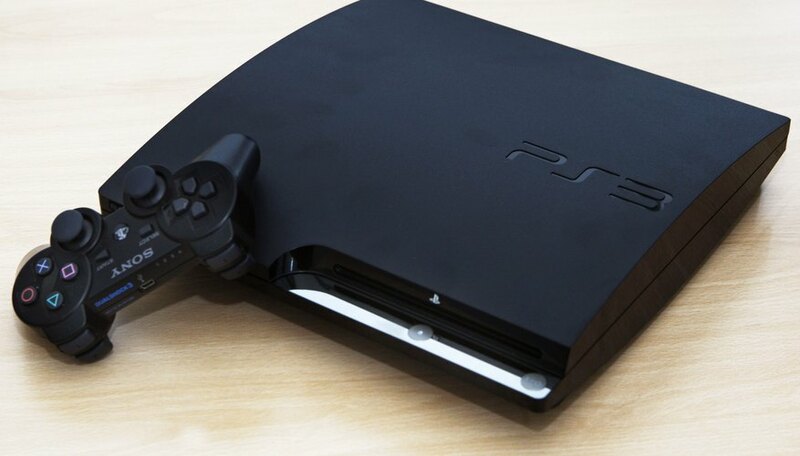 Sony's PlayStation 3 gaming console enables the player to upgrade the console's hard drive. Much like a computer in this aspect, if you find your PS3's drive too small for your needs, you can easily upgrade it with a hard drive designed for a laptop. Whether you've got a PS3 Slim or an older model, there are a few specifications, limitations and requirements to keep in mind when shopping for your new drive. Your PS3 Slim uses the same size hard drive a laptop uses, so shop for a 2.5-inch drive instead of the larger 3.5-inch drives found in desktop computers. You also want to make sure you buy a SATA hard drive. This shouldn't be a problem, as of July 2013, there are plenty of SATA drives on the market as one of the currently dominating technologies for these drives. SATA drives come in a few speed variations that denote the transfer speed of the drive. SATA-150, SATA-300 and SATA-600 get faster as the number grows. The latter are often called SATA2 and SATA3 and are capable of transferring 3GB-per-second and 6GB-per-second respectively. The PS3 can only read drives at the slower 150 speed, or 1.5GB-per-second, so buying a faster drive is pointless and may cost you more money. PS3 models are designed to use 5400RPM drives. Faster 7400RPM drives may work your system too hard and cause overheating. While Sony documentation offers no official word on the maximum storage size your new drive can have, the PS3DevWiki suggests a 1TB cap to avoid errors and complications. Sony doesn't offer a specific list of compatible drives and does not guarantee all drives will work, but as long as you stick to the specifications mentioned here, compatibility shouldn't be an issue. Solid state drives are faster, more stable hard drives than traditional models. SSDs utilize flash memory and have no moving parts, granting them more speed when accessing content and less likelihood to break. While an SSD won't benefit your PS3 as much as it would your laptop, gaming site Euro Gamer's tests concluded that SSDs do offer some improvement. Loading and texture generation in certain games happened faster using an SSD, preventing texture pop-in where the game's textures load as you're playing. Lag was also decreased for certain games, but the benefits of an SSD don't seem to extend to all PS3 games. With the PS3's SATA-150 hardware, an SSD still performs better for some tasks, even if performance is bottlenecked in some aspects. If you're getting errors, you may need to use a jumper block to limit speed to slower SATA I speeds. EuroGamer.net: Can SSD Upgrades Boost PS3 Performance?